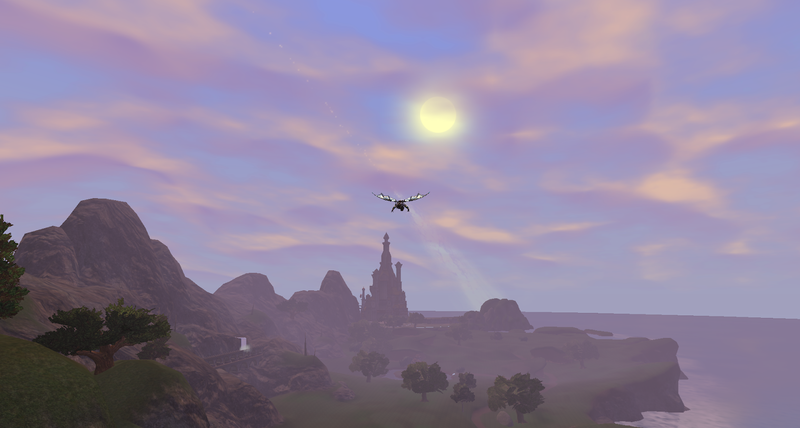 Just a short note to give any EQ2 players a heads-up that the excellent and essential Days of Summer event is back. Since I've been neglecting EQ2 in favor of Bless, I would have missed it myself, had it not been for a line in Kaozz's recent post. EQTraders had already flagged the event when it began on August 21st - Naimi Denmother makes a point of drawing our attention to anything with even the most tangential connection to tradeskills and Days of Summer comes with a lot of items for decorating houses - but somehow I missed it. She has a page with all the details we know so far. Fortunately, although the event began as a limited-time affair last year, it proved so popular it now stays in game as a permanent fixture. Yun Zi spends his entire life standing around in Sundered Frontier, making inane small-talk and handing out amazingly good items no casual player can afford to ignore. He's acquired a tiny companion called Pas Yu this year, a panda of extremely restricted stature, who acts as his bag holder. I nearly missed him after I'd finished the first quest. He has all the sweet loot and it is sweet indeed. To do the quests you need to have at least one max level character and the gear you get is Level 110 (making a lot of it upgrades for me even after the expansion has been out for almost a year). The housing items work for any level and some of the upgrades are suitable for level 100 and up. Once you complete the quest on a single character, any character on the account can shop at Yun Zi's for the low price of no money at all. Like last year, there will be eight weeks of quests. The new quest comes with the weekly patch/server restart on Tuesdays. You have to have completed all of last year's quests before you can do this year's but if you're just getting started you can do both sets. Using a guide, like the one on EQ2Traders or the wiki, each quest only takes a few minutes, especially if you use the wonderful and essential Fast Travel option from the Map window. If you're an All Access member you get that for free (and it's worth the monthly sub on its own in my opinion) but since you also have to be a Member to do the quests in the first place that's not a problem. 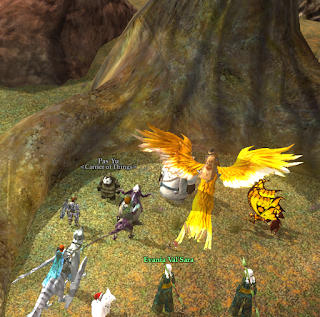 I raced around Antonica last night on the first of this year's quests and it was really good fun and very nostalgic. I found I could remember the exact location of every stop without having to check. I've spent so many hours in Antonica I know it as well as I know the countryside around my own home. 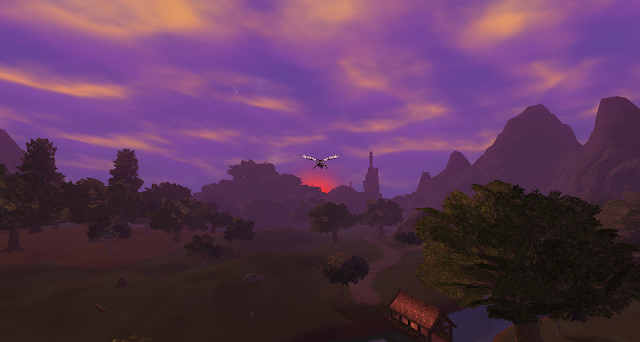 I was also lucky enough to arrive there at gametime sunset. Antonica has some absolutely spectacular skies at dawn and dusk. The graphics in the older part of the game are showing their age but the skyboxes are still as breathtaking as ever. Like last year, Days of Summer is going to prep casual players for the Autumn expansion, although if DBG follow last year's model the expansion itself will start with free gear that's even better. This kind of thing is why I rate the current DBG team so highly. I've never felt so well looked after as a casual player. Long may it continue. I missed this too, thanks for the heads up. I don't have a max level character though, but since it's permanent now I don't need to hurry. Cool beans. Definitely worth doing last year's quests as soon as you get a character to 100. If you have that gear you'll have a huge leg-up for the Shattered Seas expansion, which is all Level 100 content. Also Terrors of Thalumbra, come to think of it. Thanks for the update. I have not logged in since May or June. I should take a look.